2017 Cheltenham Gold Cup winner Sizing John, trained by arguably the best dual purpose trainer in the sport Jessica Harrington has had to delay the seasonal reappearance of her chasing superstar due to him having a small wind operation. The Irish based horse has not been seen since last season after having a poor campaign that was riddled with injury and training setbacks. Our last memory of the horse was when he was well beaten in the Leopardstown Christmas Chase and not seen again to defend his Gold Cup title after fracturing his pelvis. However, luckily for horse racing fans this latest setback is not serious and all being well he will be reappearing this year an hopefully fit and ready for the Cheltenham Festival. Jessica Harrington will now look elsewhere than his planned Fortria Chase at Navan this weekend and it looks more and more likely that he will be seen for the first time over the Christmas period. 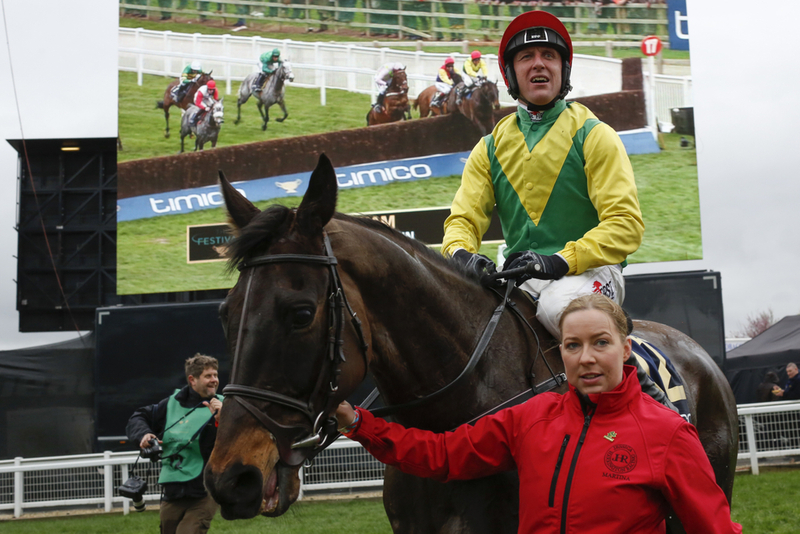 (Credit At The Races and Unibet) The trainer said: “Sadly Sizing John will not make his intended seasonal reappearance in Navan this weekend after we discovered a small problem with his wind. “He did a routine piece of work yesterday (Sunday) morning and we weren’t 100 per cent happy with him so the vets checked him out this morning and we found out he needed to undergo a small wind procedure, which was conducted this afternoon and all went well.